The project comprises of 14 municipalities, one region, three universities and two organizations. It officially launches on February 1st in 2019 and lasts for three years. (See the fact box). The participating municipalities and Region Skåne are expected to invest approx. 177MSEK. in specific LED projects. Albertslund Municipality is well into the green transition. By joining the “Lighting Metropolis – Green Economy” (LMGE), the municipality should be able to get closer to its goal of replacing all street lighting with energy-efficient LED fittings. Over the next three years, the municipality will replace 30% of its street lighting (approx. 2,500 street lamps) with energy-efficient LED lighting that includes smart control and will also be gaining knowledge on ways to improve and maintain their street lighting system. This modernisation will benefit the municipality in several areas: energy consumption will be reduced, and road lighting maintenance will decrease by 50%. Lighting quality will be improved, both in terms of colour and brightness, which will increase road safety and citizens’ confidence in the municipality, especially in residential areas. In Ballerup Municipality there is great political focus on implementing energy-saving measures. In fact the municipality has already implemented a large LED street lamp project. By joining LMGE, Ballerup Municipality can continue to work with LED projects in the municipality’s buildings. Specifically, through the course of the LMGE project, the municipality will replace lighting in municipal buildings such as schools, institutions, culture and leisure facilities, as well as sports halls, with more energy-efficient lighting sources. These new lighting solutions will also contain lighting for healthcare settings with colour changes, and emphasis must be placed on the total economy and life cycle assessments. All in all, the municipality expects that energy savings of 600,000 kWh/year will be able to be achieved during the project period. The municipality also expects that by joining LMGE, it will be able to disseminate knowledge about the integration of indoor climate and health parameters in municipal buildings, so that users of the buildings receive better support for their core tasks. For many years, Bjuv Municipality has worked with industrial symbiosis and sustainable solutions for businesses and civil society. By participating in LMGE, the municipality can get closer to its goal of sharing knowledge and promoting the energy efficiency of outdoor lighting. In a pilot project, Bjuv Municipality will work with industrial symbiosis in a park facility with pedestrian and bicycle paths, as well as seating near public transport. Here, the goal is to create a safe, comfortable and sustainable urban environment, as well as providing the opportunity to promote public transport using light. The Technical University of Denmark (DTU) Photonics has researched and developed innovative solutions using LED technology for indoor and outdoor lighting, such as in the area of health lighting in hospitals. By participating in LMGE, DTU Photonics can help optimise the solutions used by municipalities and regions by sharing its knowledge with them. The knowledge DTU Photonics holds within LED technology can be used by the municipalities and regions for quality assurance in road lighting, as well as for achieving greater energy savings. DTU Photonics itself will also benefit joining LMGE, as the project will help improve the collaboration between the university and Danish and Swedish municipalities. Egedal Municipality has initiated a multifunctional “square meter project” for more flexible buildings. This is a project that will broaden the use of buildings in schools, so that buildings are not left empty at various times of the day. By participating in LMGE, Egedal Municipality can replace lighting in the schools with more energy-efficient solutions and direct support to multifunctional square meters or spaces. During optimisation, the municipality can achieve energy efficiency by switching to LED lighting, and consider the possibility of using the otherwise calculated costs for better lighting. The new lighting will better support learning environments, improving the students’ development and offering the students a more varied school day. Like many other Danish municipalities, Faxe Municipality has committed itself to reducing its energy consumption and reducing CO2 emissions by entering into climate agreements with both the Danish Society for Nature Conservation and the EU Covenant of Mayors. To achieve its goal, Faxe Municipality is participating in LMGE in order to gain competencies and tools for the efficient and rapid replacement of lighting in buildings and on roads, switching them out for new energy-efficient LED lighting. By participating in LMGE, the municipality expects that it can reduce and streamline the CO2 emissions within its own business. Faxe Municipality also wants to increase its competencies and generate new knowledge within supply, construction and operations. On its political agenda, Gladsaxe Municipality has climate, the environment and the need for fewer operating expenses. By joining LMGE, the municipality can hone in on these priorities by gaining greater knowledge on and speeding up its transition to LED lighting for outdoor use. In Gladsaxe Municipality there are 8,248 street lamps, with different combinations of design, condition and power consumption. 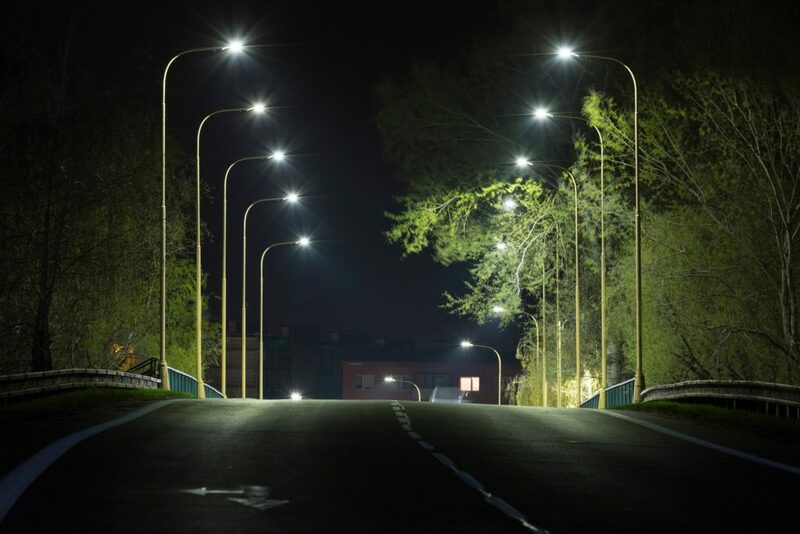 By modernising the outdoor lighting, the municipality can halve the street lamps’ energy while gaining a direct efficiency improvement of 2.7 million DKK per year – a saving that corresponds to the consumption of 250 average homes, or twice the electricity consumption of Gladsaxe City Hall. Hörby Municipality is already working on the idea that light can change the shape of the city for its inhabitants, and sees this as an important part of its development. By joining LMGE, the municipality can initiate street lighting renewal. For the past few years, Kalundborg Municipality has been working on a demonstration project focused securing school roads with improved lighting. Now the municipality wants to modernise lighting in a number of the municipality’s buildings, as well as the outdoor lighting connected to those buildings. This can be achieved by participating in LMGE. By modernising the lighting, the municipality can achieve considerable energy savings while improving both learning conditions in the schools and the indoor environment, regarding light parameters. Klippan Municipality wants to participate in LMGE in order to get energy-efficient road lighting. The municipality can do this by replacing all its light fittings. Kristianstad Municipality wants to move one step closer to switching its road lighting to more energy-efficient solutions. While participating in LMGE, the municipality will replace old mercury lighting with a built-in lighting machine (twilight relays), as well as replacing the old control system both in Kristianstad and out in the countryside. In Lolland Municipality there is broad political and organisational support for reducing energy consumption. The municipality has already committed itself to this aim through, among other things, the climate municipality agreement with the Danish Society for Nature Conservation and a mayor agreement to reduce CO2 emissions in the municipality. By joining LMGE, the municipality can optimise the energy consumption of public buildings by replacing lighting at several nursing homes, residential centres, plus sports and health centres with energy-efficient LED lighting with smart control. In addition, the municipality would like to gain more knowledge on effective lighting, for example in the field of biological light and light for teaching, so that the municipality can work further towards its goal. The energy optimisation in public buildings should enable the municipality to save considerable energy and reduce operating costs. In addition to this, the municipality expects the indoor climate to improve inside these public buildings. Lund Municipality is working on two major urban development projects where lighting is part of the solution. By joining LMGE, the municipality can both modernise existing street lighting with more energy-efficient LED lighting, and think about light solutions for new urban areas. Both in the former industrial area Västerbro and in the new urban area Brunnshög, roads, paths and parking spaces will have energy-efficient LED lighting with smart handling, which will ensure an attractive, sustainable and safe area for everyone. Region Skåne is planning a major rebuild of Helsingborg’s hospital. By participating in LMGE, Region Skåne can achieve an improved working environment within the hospital. Among other things, this will happen by increasing the possibility for longer working hours, despite the lack of daylight. This will happen through the development of artificial light so that it can take over when the daylight disappears. In this way, the working conditions for employees can be improved so that it becomes a better experience for everyone. Region Skåne also expects that this planned transition from more traditional lighting to LED lighting can provide an energy saving of approximately 70%, as well as additional savings through automated light dimming. Roskilde Municipality has already been working on strip lighting, event lighting, plus learning and wellbeing supported by lighting, and has generated energy savings from lighting in municipal buildings. By joining LMGE, the municipality can go even further in its work on light development. During the project period by LMGE, the municipality will develop total-economic solutions in connection with the choice of light fittings and controls in municipal buildings. Here, emphasis will be placed on optimizing light quality, assessing the use of dynamic light, the relationship between daylight and artificial light, as well as the flexibility of lighting for multi-purpose use. The municipality will therefore be able to achieve its goals of developing and using new components for light modernisation, such as wireless solutions that can optimise the installation of LED lighting. Trelleborg Municipality is participating in LMGE because it wants to speed up its modernisation from traditional light sources to energy-efficient LED lighting. The municipality’s participation in LMGE will provide knowledge sharing opportunities and inspiration from the entire Øresund region, so that the municipality can gain broader expertise in outdoor lighting for public areas. Within the project, the municipality hopes to gain more knowledge in the design, operation and maintenance of lighting installations. Aalborg University is already researching how architecture and lighting technology can improve the built environment. At the university, a research group is working with an interdisciplinary and innovative approach to the following research themes: Light and Health, Dynamic Lighting and Intelligent Lighting. The research is based on natural and laboratory experiments, such as realistic and holistic assessments of dynamic illumination in occupied spaces. By participating in LMGE, Aalborg University can help disseminate information and further research how light can affect people in different environments. Innovation Skåne has previously worked on and coordinated projects within lighting development. Innovation Skåne, a subsidiary of Region Skåne, works with innovative solutions on topics including energy-saving lighting. Innovation Skåne is active in research and development, working with projects to increase the interest of the business community. By participating in LMGE, Innovation Skåne can use its experiences in collaboration to create the basis for cross-border collaboration between users, researchers and industry (triple helix). Specifically, Innovation Skåne will create networks, convey knowledge through workshops and seminars, and arrange visits to specific projects in LMGE. As a green partnership organisation in Greater Copenhagen, Gate 21 works with many topics, one of them being lighting innovation. Gate 21 has helped create Europe’s largest living laboratory for innovative lighting solutions. Here, various actors are brought together to create new innovative solutions within lighting design, photonics and biological lighting. By participating in LMGE, Gate 21 can gather several partners on the green transition taking place within the lighting sector.